This was the thing about Neighbourhood Festival 2017. Where to go next? There was just too much happening in Manchester City Centre. Following the collection of wristbands from Tony Wilson Place and a short walk along Whitworth Street, a stark choice of direction became apparent at the crossroads of Oxford Road. 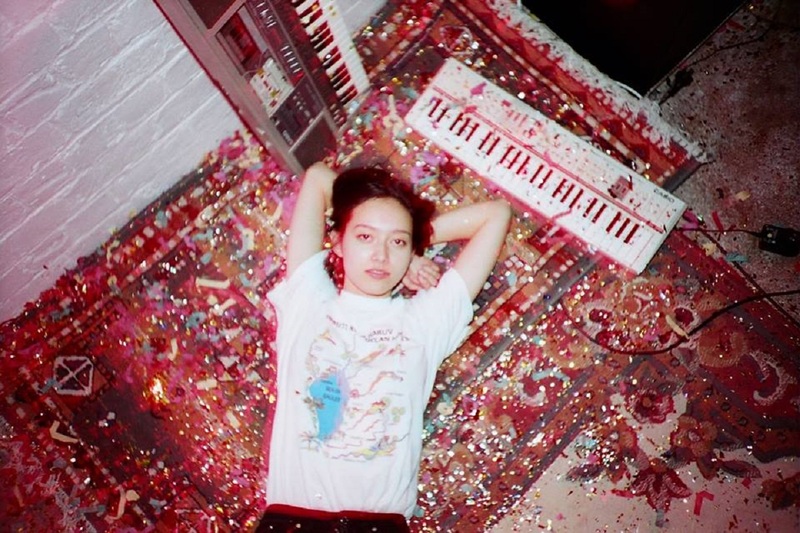 Would it be a right turn, taking us on a voyage of discovery through smaller venues (such as The Deaf Institute, Sound Control and The Bread Shed) or a veering left to familiar territory (the iconic Albert Hall) to re-visit the safe and known? Last year’s co-headliners, Blossoms kicked off proceedings at midday with an acoustic set to launch NBHD 2017, to a sell-out Manchester Academy audience. This bird missed that worm, as it was the land of the new and unfamiliar that beckoned; a place where hidden delicacies could be unearthed and consumed. And so a ten-minute, rain-sodden walk away from the city centre reaped the first find of the day. Quirky 4-piece, Swedish alt-rockers, Francobollo produced a set of captivating tunes that had heads nodding and feet tapping, and that was just the band. A sizeable Bread Shed assembly showed its appreciation accordingly. 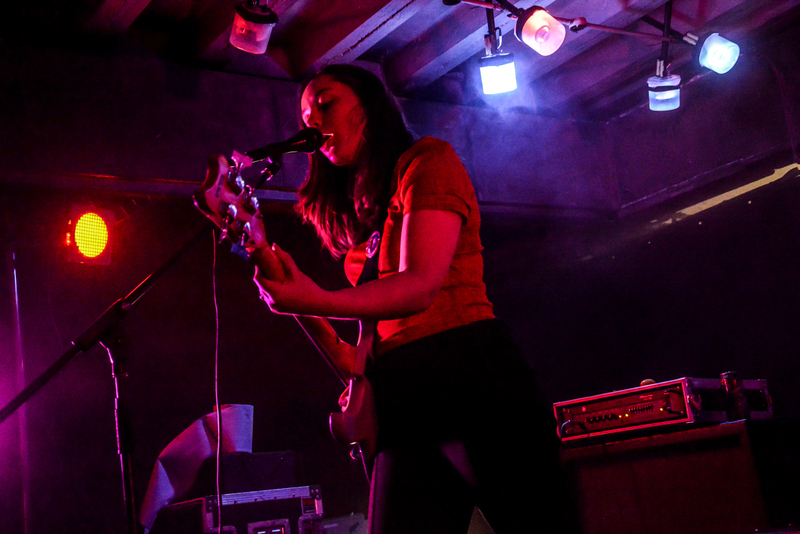 Halifax 3-piece, The Orielles, playing to a packed Sound Control basement gathering, was the next to satiate a hunger for the fresh and new. In the Urban Dictionary, the term ‘orielle’ is given to a beautiful girl that can be underestimated and misunderstood. There were most certainly no errors of calculation or conception about this performance. It was pure, understated class! Following a swift pint in The Thirsty Scholar and a brief chat with The Orielles, a planned short walk around to Gorilla in time to see the full XamVolo set, was a next port of call on the Neighbourhood tour itinerary. According to a close friend of his, this was XamVolo at his very best. 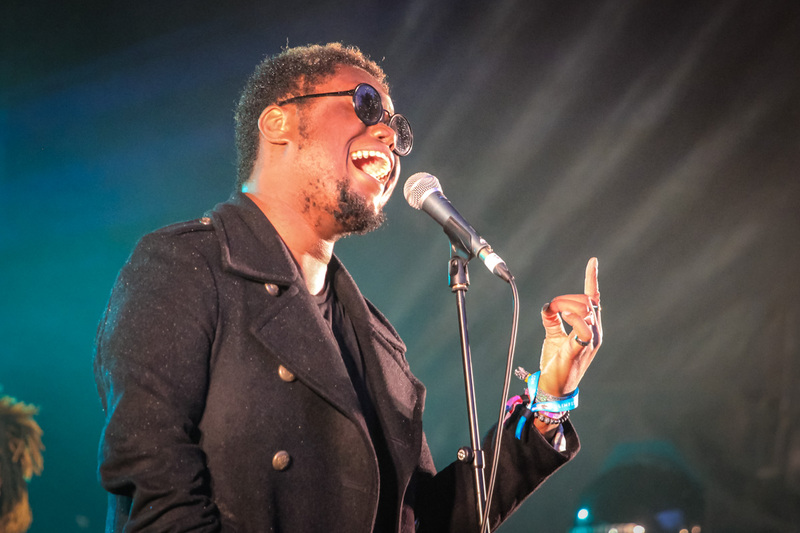 The soulful vocalist, ably backed by a tight band of musicians, effortlessly oozed confidence and class, looking completely at ease and all smiles, on the elevated Gorilla stage. Next up was Idles in the O2 Ritz. With a queue extending as far as the corner of Sainsbury’s, this was clearly a ‘must-see’ gig for many of the NBHD faithful. Once inside, it was clear to see why this Bristol-based punk 5-piece attracts such interest. Their anarchic, frenzied, borderline-psychotic display of musical madness is as enthralling as it is repulsive. With a guitarist who has traded his grubby white, Y-fronted underpants for a skimpier pair of new brushed cotton BHS hipsters, and a lead singer whose head appears about ready to explode over the stage and also his bright, tree-lined Hawaiian shirt, this was not a show for the faint-hearted. After a fruitful quest for the new and relatively undiscovered, it was time for a bit of the old and recognizable. Time then, for a brisk walk up towards the city centre in search of some inner peace and sanctum. Having played only a handful of concerts (along with a few DJ sets) over the past 18 months, it was the task of Peace to open the evening’s entertainment in the Albert Hall. Anticipation for this gig amongst the NBHD community was fervent, with the queue for entry to the venue stretching far and wide down Oxford Road. And when the proverbial curtain went up we well and truly saw why! All the waiting and pent up adulation for Peace exploded into an outpouring of love and joy. If Idles had managed to test the sprung floor of the O2 Ritz, Peace managed to rattle the very foundations of the Albert Hall. That is seriously no exaggeration! The whole building literally shook as a mass of bodies bounced from the opening chord of Lovesick through to the very last dripping echo of Bloodshake. With daylight still seeping through the stained glass skylight and chapel windows, stage lighting was not necessary to create the kind of atmosphere that makes a brilliant performance memorable. Peace and their worshippers managed to achieve this all by themselves. In time this show will be granted legendary status by all that were fortunate enough to have been there. It was anything but ‘like watching paint dry’. 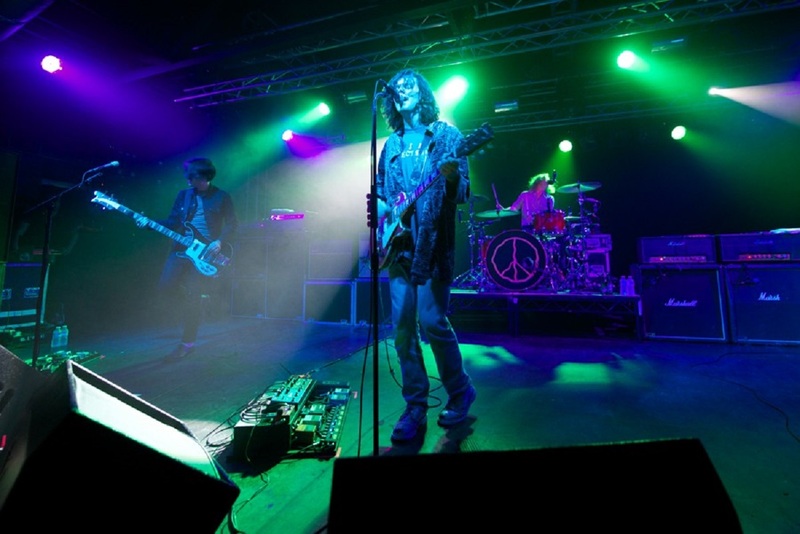 Make Peace next year’s headline act for Leeds and Reading. Nailed on! As early evening approached, the choices out there placed heavy demands on the ability to forward plan. Strategic deliberations, taking account of stage times and walking distances had to be considered. Strange Bones at Sound Control was up next. If sleaze ‘n’ blues, axe-guitar chopping rock, with the sound of a primitive Dr Feelgood is your thing, then this band may well be for you. A singing, jumping, crowd-surfing crew of fans agreed and by the end of the last number filled the stage as confirmation. The remainder of the evening was a bit of a blur. The Vryll Society completely showed why they are widely tipped for greatness. Cabbage did what they do best! Even on a night where they appeared tired, made mistakes and sounded rough around the edges; they still managed to look the part, entertain and slay the cabbage patch kids in front of them. Queen Zee and the Sasstones went bonkers in true Dizzee Rascal meets Wayne County and the Electric Chairs-style; whilst Kiwi, dream-pop 4-piece, Fazerdaze, were the undisputed discovery of Neighbourhood Festival 2017. The night was pleasantly rounded off with the anthemic, drifting surf-pop tones of Jaws; before finally calling it a day. That is, a day of finding the new and re-discovering the already known! NBHD Festival 2017 was an extremely well-organised festival and resounding success. It managed to appeal to teenagers 14+ and most venues were accessible to this age group. That in itself is a marvellous achievement for which the organisers deserve massive praise. It was overwhelmingly a festival for young people. 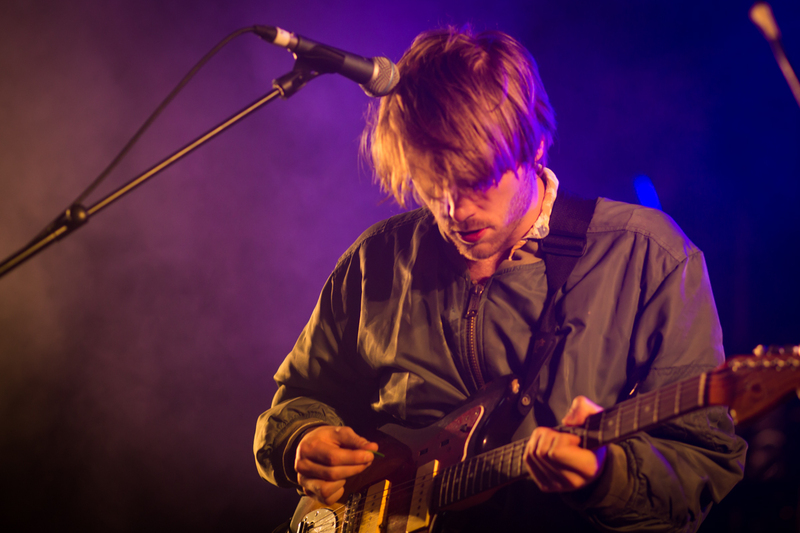 The same young people that live music needs to ensure its longevity. All other city centre music festivals up and down the country, please take note! Translated from Italian into English, francobollo means ‘stamp’ (as in, what you stick on letters). Only the Swedish could come up with a name like this for a band. And it works, … so leave them alone! Great gig, cool sound. Recommended! With an album due out soon, The Orielles are sitting pretty on the cusp of mass popularity. With songs like Sugar Tastes Like Salt and I Only Bought It For The Bottle, delivered with cool nonchalance, along with the slowed-down, sublime, Liminal Spaces … the future is bright; the future is orielle! 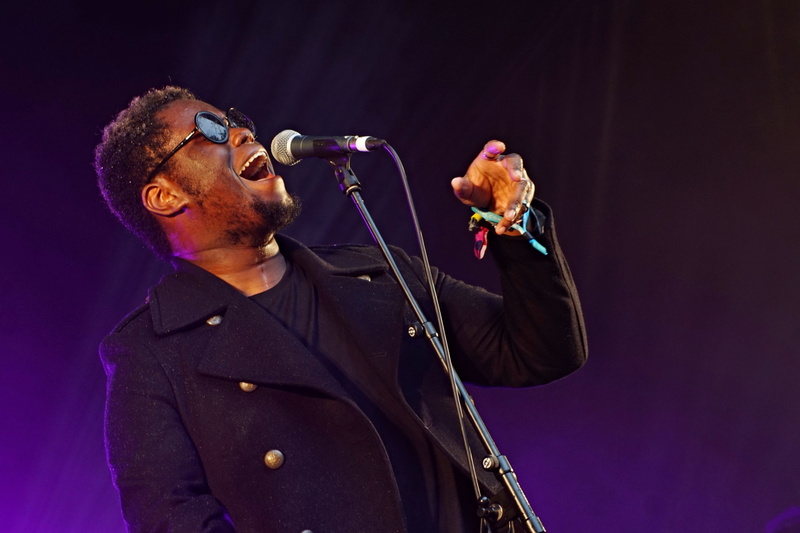 Mixing Old Soul, funk and jazz to make his very own distinct and distinguished sound, XamVolo has it all. Reminiscent of Maxwell‘s urban, jazz-lounge vibe, if comparisons need to be drawn; add an infectious smile and a healthy lifestyle (extolling the virtues of drinking water, between songs), and further success is all-but guaranteed. In a set of classic older tunes, together with some excellent new ones, the particularly brilliant California Daze was the standout song. Let Peace reign over all. Any news on that 3rd album? This was the last date of a European tour, before heading to Japan to start their Asian dates. Sporting a girl-next-door look and a lo-fi slacker rock sound, Amelia Murray‘s understated brilliance and happy smile won the hearts and minds of a hugely impressed Deaf Institute crowd. Deservedly so! Next Article Could V Festival be coming to an end?